So you want to learn how to research long tail keywords quickly? When putting out blog content at any decent pace, many lose their steam when it comes time to research keywords for their articles. Without a disciplined system and understanding of what Google Keyword Planner data means, this will happen every time you make an attempt at researching effective long tail keywords. Once you gain that understanding and apply an analytical process to keyword research, it’s only a matter of time until this step of content creation feels intuitive. This will not only save time, but also improve your organic rankings on every piece of content you publish. Without any true competitors, our favorite tool for finding what topics and types of content is hot is BuzzSumo. It’s a completely free service, but has a daily limit on how many searches you can make. That’s alright. We just want a general idea of what content is getting shares right now. We start off by navigating to the Trending Now tab and typing in our specific industry, rather than choosing from their list of generalized topics. By default, it’ll show you the most popular articles from the last 24 hours, but you can narrow this down as far as just the last hour. Next, we move over to the Most Shared tab to find the top performing articles. If you have an idea for an article in mind, search for the most general term involved with that topic. The goal here is to confirm that people are actually sharing content similar to what you’re writing. By default, BuzzSumo will show you the Most Shared content from the Past Year. Switch this to the Past Month to be sure your content ideas are fresh. You can also search by domain to see top shared content from a specific website. 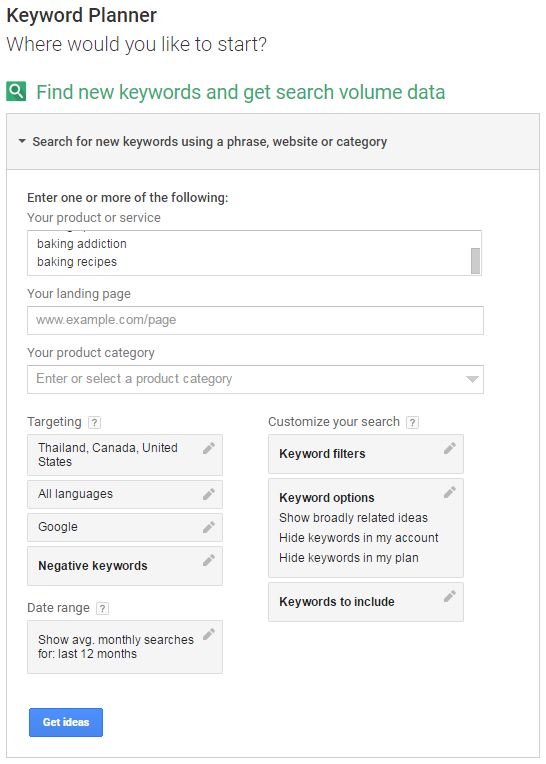 By this point, you should have at least 5 ideas for general trends in your industry that you can throw into Google Keyword Planner. Keep in mind that these are going to be extremely competitive terms that you won’t be trying to rank for. Can’t rank for would be more accurate. You have no chance at ranking for these terms without some truly substantial SEO resources. 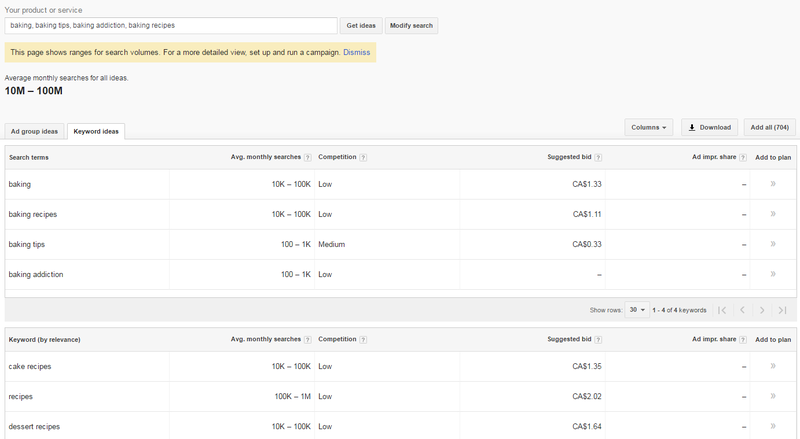 However, adding these to your query in Keyword Planner will give you suggestions that you can realistically rank for. Along with these general keywords, you should also include your own ideas for long tail keywords. It’s important to make sure your targeting reflects your target audience ( User Personascan help keep you on track). In the example below, we’ve added Thailand to the countries list since we’re based in Bangkok and want to include the Thai market. If you run a seasonal business, it would be a good idea to specify a date range so you can compare how often a keyword is searched during low season compared to high season. Smash that motherfucking Get ideas button and let’s look at some data!